It’s been only two years since he burst onto the scene with ‘Ertesuppe’, but it’s already clear that Dante Klein is here to stay. ‘Let Me Hold You (Turn Me On)’, his 2016 collaboration with LA collective Cheat Codes, racked up 300 million plays on Spotify, and Dante’s already played the biggest events from Tomorrowland in Belgium to Ushuaia in Ibiza. Skillfully riding the line between pop and club-oriented music, Dante is set to keep conquering hit lists as well as dancefloors around the globe. 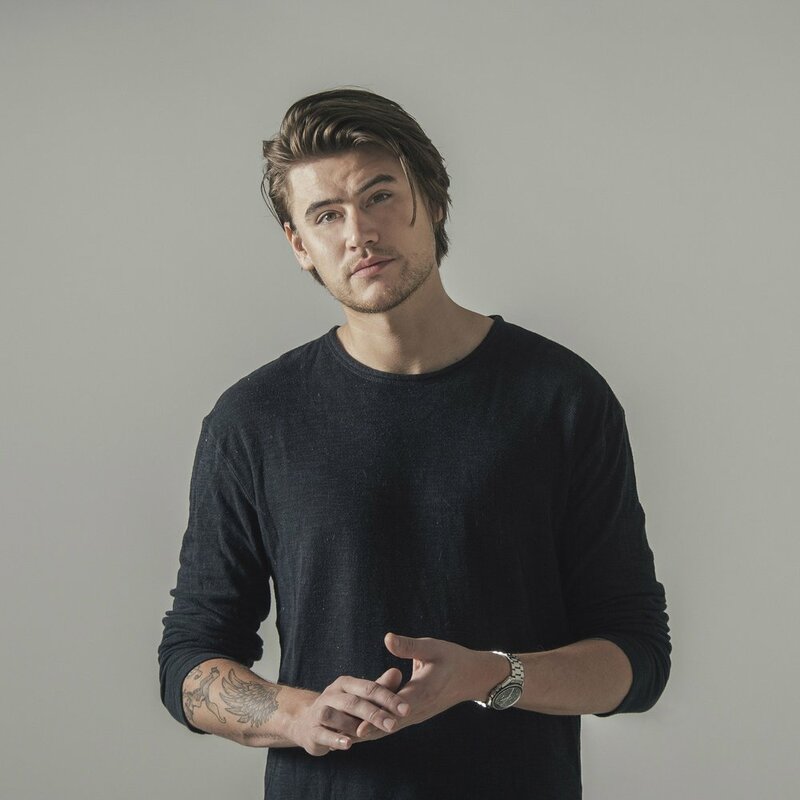 Originally hailing from a small town in the west of Holland, Dante – real name Max Krul – has had a passion for music since a very early age. He got his hands on his first DJ set at the age of 10, and by 16, he became a resident DJ in a local club. As more and more time went into his musical productions, Dante enrolled at the Herman Brood Academie – whose alumni include Martin Garrix – and music became his life. In December 2014, Dante, only in his second year at the Academy, caught a big break when ‘Ertesuppe’ was signed by Spinnin’ Records and featured on Pete Tong’s BBC Radio 1. It was soon followed by a collaboration with Sam Feldt and remixes for Dimitri Vegas & Like Mike and Kim Churchill. Though these first releases were mostly club tracks, they gave Dante the platform he needed to start expressing his long-held love for pop and hip-hop music. He reached out to Cheat Codes and the result was ‘Let Me Hold You (Turn Me On)’. First released on Spotify as an ID track, it reached 4,000,000 plays before the artist behind it was even known. By now, the counter is just shy of 300 million plays and the record’s been awarded Gold and Platinum status in several countries, having spent months in Spotify’s Global Top 30. In the wake of ‘Turn Me On’, Dante quickly brought out more pop-minded collaborations: ‘Harder’ with HAILZ, ’Coke & Hennessy’, with legendary rap group Bone Thugs from the Bone Thugs n Harmony and in winter 2018, new single ‘Contagious’ with Dylan Jagger featuring Feli Ferraro. Dante’s rapid success as a producer has catapulted him into the spotlight as a performer as well. His dancefloor-oriented DJ sets have already captured the hearts of festival-goers around the world, with the summer of 2017 including highlight performances at Tomorrowland (Belgium), Ushuaïa (Ibiza), Nova Era Festival (Portugal), Sunrise Festival (Poland), Ohrid Calling: Hardwell (Macedonia), and Sounce Parade (South Korea). Late 2017 brought Dante Klein to Amsterdam’s notorious ADE where he performed amongst the top electronic talent in the world, followed by his first official tour in Asia. Last but not least, fans were given a unique insight into Dante’s life with his very own episodes on Veronica’s ‘The Next Icon’, a national TV show that documents the careers of upcoming DJs. Ever keeping a close eye on the balance between the ‘club’ and ‘pop’ sides of his musical persona, Dante has a bright future ahead of him. Thanks to his relentless passion for production, a slew of new material has been released this year, including new collaborations with upcoming North American producers and vocalists. “what i like about u” is one of his recent releases that was added to many famous Spotify playlists such as 360 Dance and Summer. Dante extended his success by releasing summer hit “Nothin’ On You” in partnership with swim-brand Orle Brown as well as “The Way I Love You” with Cat Carpenters that was used on International Samsung TV commercials as well. He may be only 23 years old, but Dante Klein is ready to take over the world.